What are the recommended headsets for the Office@Hand Desktop App? IMPORTANT: The Plantronics Hub Software needs to be installed so you can take advantage of the features of your Plantronics headset using the Office@Hand Desktop App. Once installed, go to your Desktop app, then open Settings > Sound. 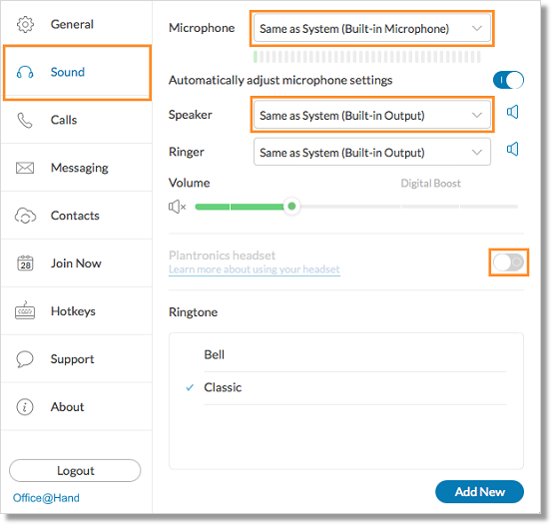 Set the Microphone and Speaker to your Plantronics headset, then enable your Plantronics headset. Click Learn more about using your headset. 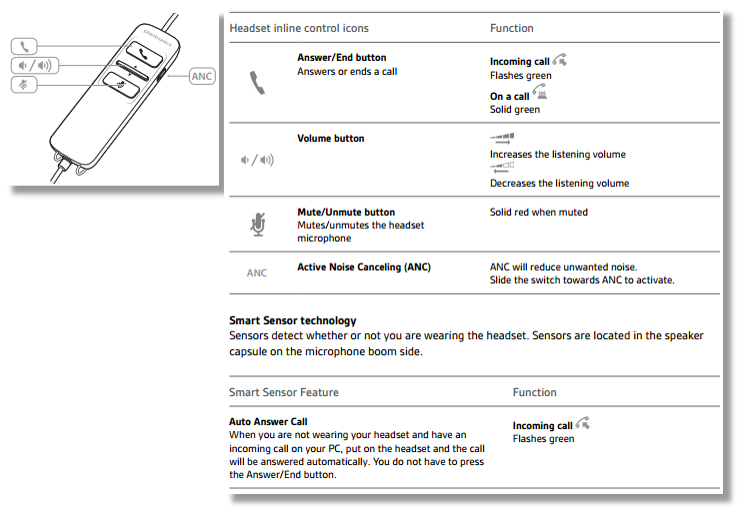 On the website, type the model number of the headset to search for product documentation. The following headset models are compatible with the Plantronics Integration with Office@Hand Desktop App. This article summarizes how to use the headsets with the desktop app.